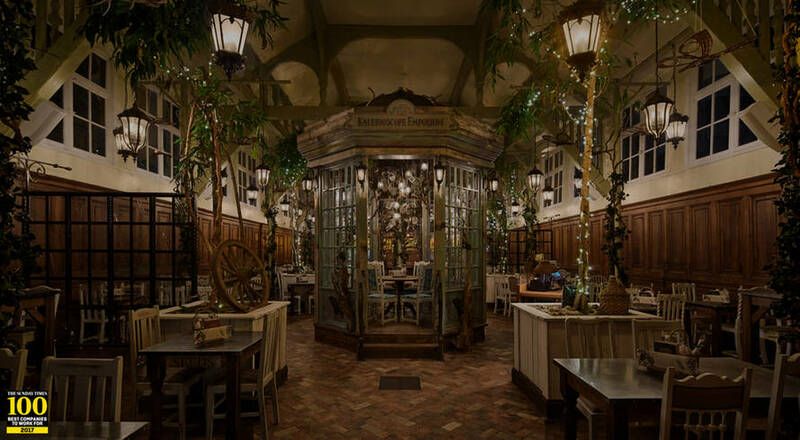 The Botanist in Sheffield, South Yorkshire, has been named as the best pub in the UK, having secured the top accolade at last night’s National Pub & Bar Awards. The venue, which was praised for its great food, interesting drinks and flawless service, was also one of 12 pubs to be announced as the best in their region. Matt Bamber, operations director at The New World Trading Company comments: “When we took over the Sheffield site about 18 months ago, it was just a shell and it had been empty for quite a while. How could we make this special? For any venue upstairs, you have to have a wow factor – we’ve got that in Newcastle and definitely in Sheffield. People are coming back because they know it’s a special place, a little hideaway at the top of four flights of stairs. In addition to the national award, Rachel Doherty of The Botanist in Newcastle won the Outstanding Service Award, sponsored by Britvic. In London, the prize was taken by The Trading House, while in the North East it was The Botanist in Newcastle, marking a successful evening for The New World Trading Company.